If there’s a master’s cup for science-fiction visionaries, it might actually belong to Hermann Hesse. In a late novel, the German author seemed to imagine the World Wide Web, and its kaleidoscopic hyperlinks, fifty years before it existed. Hesse never quite explains how the game is played, which has set a lot of modern designers working on playable variants. The most popular is Charles Cameron’s HipBone Game (here’s an example of a board game, but Cameron’s working on a web-based version). 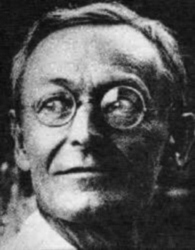 This bears watching: The web is constantly evolving, and perhaps Hesse’s vision is still ahead of us. Where can you see pi expressed to 1 million decimal places? Some questions are pretty easy. Last month, Donald Rumsfeld got into a flap when it was revealed that his condolence letters to troops’ families were signed by a machine. 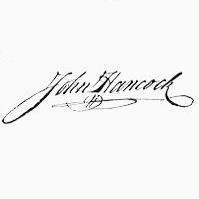 Some critics, like retired Army colonel David Hackworth, compared using a machine to “having it signed by a monkey.” But in the digital age, signing your name on paper is a pretty quaint custom. Was Rumsfeld’s decision really inappropriate? Legally, your signature shows you’ve deliberated about something and given your informed consent. So if you asked Donald Trump to “autograph” your mortgage, you couldn’t claim he’d agreed to pay it. But if it’s really the act of consent that’s significant, then how you express it shouldn’t matter, right? When I sign a credit-card receipt, most retail clerks don’t even glance at my signature. Congress even ratified this view when it passed a new law in 2000, legally recognizing an “electronic sound, symbol, or process” as a signature. That means you can now “sign” an Internet transaction with an e-mail message or even a Touch-Tone beep. So is Rumsfeld still wrong? Unfortunately, yes. In this case his signature is neither an autograph nor an endorsement, but a sign of his personal attention. That may be one thing a technocrat can’t understand.